There’s no shortage of local hotels that have nailed the art of olfactory: 6 high-end properties reveal the secrets of their tantalising fragrances. Ever wondered what perfumes swanky hotels use in their lobby to makes guests feel warm, fuzzy and fancy almost immediately? Hotels understand the part emotion and memory plays when it comes to making guests feel right at home, and it has a lot to do with creating the perfect olfactory blend. These fragrances are also vital to the hotel’s persona, and enhance guests’ first impressions of their new surroundings. Extracted directly from the Phalaenopsis Bellina Orchid and then synthetised into the scent that it is. Its olfactory experience is indescribable, but immediately recognisable. The Phalaenopsis Orchids are the star attraction our Orchid Conservatory and since we wanted a unique scent, we decided to use the flower as our muse. The Bellina comes in a diffuser and a room spray and is specially placed in the Majestic Wing of the hotel. You can only find the diffusers in the rooms of the Majestic Wing, that are also sprayed with the scent. We sell the room spray and the diffuser in the Majestic Spa and needless to say, it is popular amongst guests. Top notes of floral, green, lemon, middle notes of amber, jasmine, nutmeg and orchid, and base notes of Benzoin, oriental notes, sandalwood and musk. With a blend of exotic florals and sensual substances , the Black Orchid is 1 of 4 scents that evoke the experiences and sense of place in Asia Pacific. It intensifies guests’ impressions and set the stage for the mood, memory and engagement of guests, and lingers long after they’ve left the property. ScentAir’s fragrance development team combed a library of over 1,500 fragrances to create the blend for The Ritz-Carlton KL. It is inspired by the glamour of air travel, with roots that go back to the summer of 1969 on the French Riviera. Neroli blossoms and rich notes of black amber bring to mind Saint-Tropez, while musk and sandalwood bark tantalise at La Croisette. Caviar lime and Provence cypress perfume an evening in Antibes, while fig, star jasmine and freesia waft across the Mediterranean. 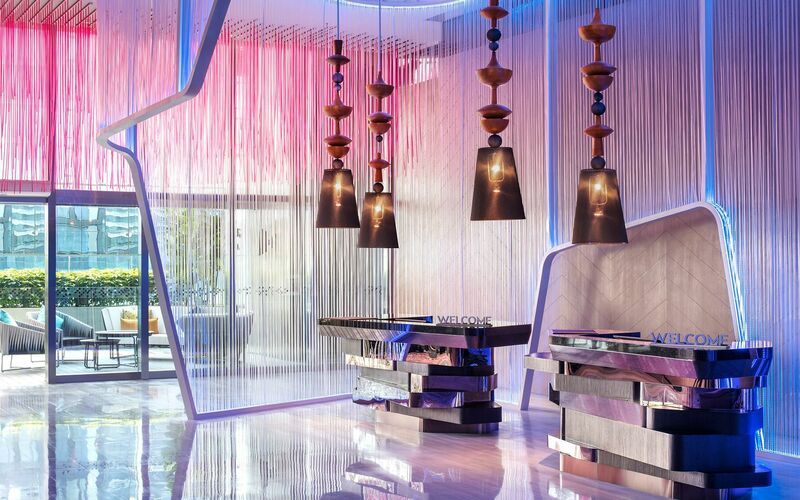 Le Méridien Hotels & Resorts and Malin + Goetz share a passion for design, the good life and discovery, sealing their partnership as travel companion. This new aroma is available in over 100 Le Méridien hotels worldwide. It is the key that transports all who experience it on a sensory journey filled with memories and emotions that are at the heart of Le Méridien. 15 years ago, Soular Therapy was commissioned to develop an exclusive branded fragrance for the trend setting W Hotel embodying a fresh, chic and inviting environment. The brief was for guests to recognise a W property the moment they stepped in one, and its reputation lingers till today. Based on the 3 pillars of naturalness, French elegance and nobility. The top note opens with a vibrating naturalness of lemon leaf, bergamot and basil. It transcends into an elegance of floral notes, comprising lily of the valley, white rose and cardamom. A complex base is formed from precious sandalwood and the femininity of patchouli. Each Sofitel hotel is imbued with a carefully-crafted aroma to enrich the ambiance. This scent describes its luxury and the French art de vivre. Its fresh and crisp notes are moulded to invigorate the senses. The creation also blends beautifully with the sophisticated and contemporary environment. A well-balanced blend of bergamot and lemon intertwined with Lily of the Valley. The fragrance evokes purity, tinged with a bit of fruitiness and hints of floral notes. True to its name, the perfume rounds off with whiffs of tea, fruity fig and white woodiness. A luxurious yet soothing scent, this perfect blend awakens the senses instantly while instating delicate, lasting memories.